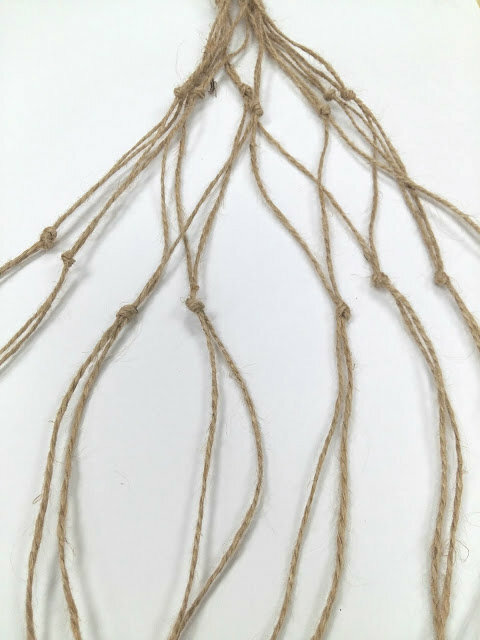 Macrame is a form of knotting materials such as cotton twine jute, leather, yarn or even T-shirt material to form, hold or decorate anything such as potted plants, jewelry or bottles. You can even make a hammock or a room divider with some sturdy materials available. Macrame was a popular trend back in the 1970s. The most popular Macrame item that I could remember was that for hanging potted plants around the house. These were further decorated with wooden and colorful beads. 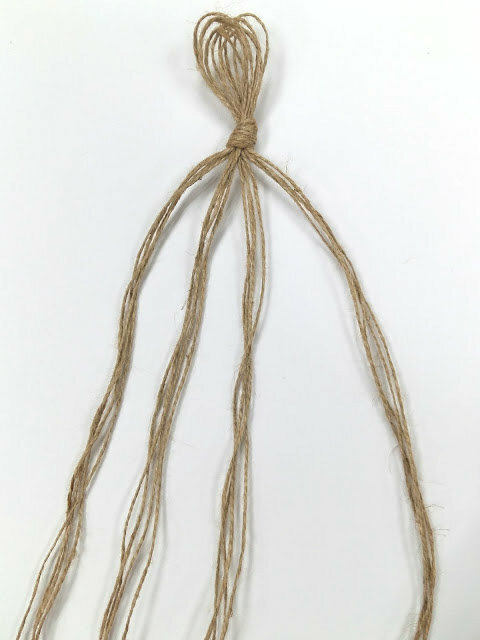 There are many knotting techniques that you can follow to create a Macrame item. 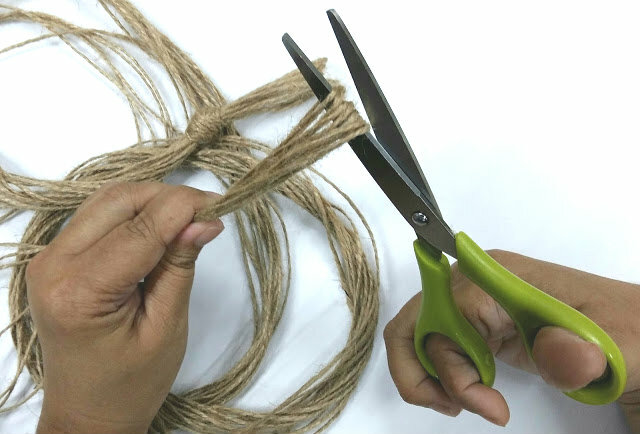 Learning techniques such as Half knot, Square knot, Vertical Half Hitch knot, Diagonal Half Hitch and many more can be found on the internet or via YouTube. Check out our Pinterest board! 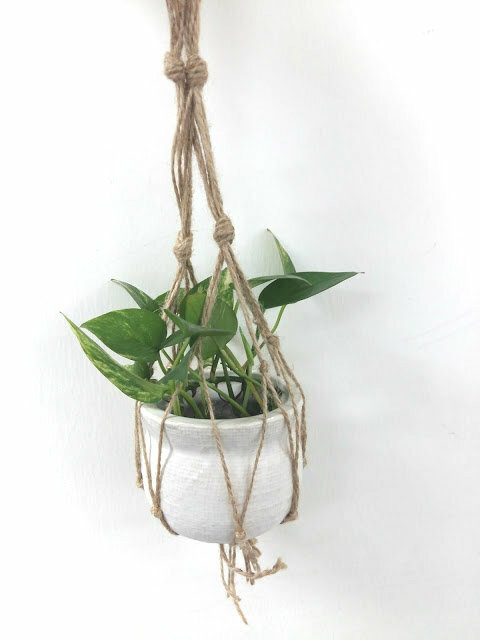 Here I would like to share with you three simple steps on how you can make a Macrame Hanging pot. The material that I used was jute which I bought from the local hardware store. 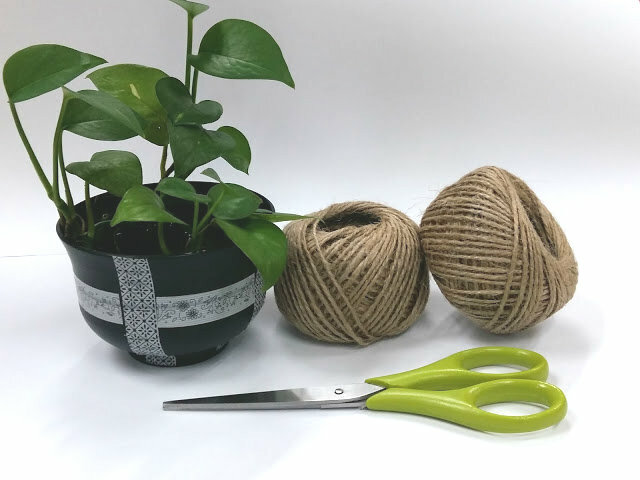 All you need are a scissors, your desired materials and your potted plant. Measure about 35cm long and loop them around 4 times. This means that the total length is about 140cm. Then tie a loop at the top so that you will be able to hang it up when it is completed. Cut the end of the jute loose. Once you have cut the ends loose, you should have 16 strands. Divide these strands equally into four. Now, basically it is up to your imagination and creativity in designing your Macrame hanging pot. Here, I braided about 5cm in length and tied a knot. I tied another knot and then took two strands from each strand and tied a knot. After that I just let the process take flow.